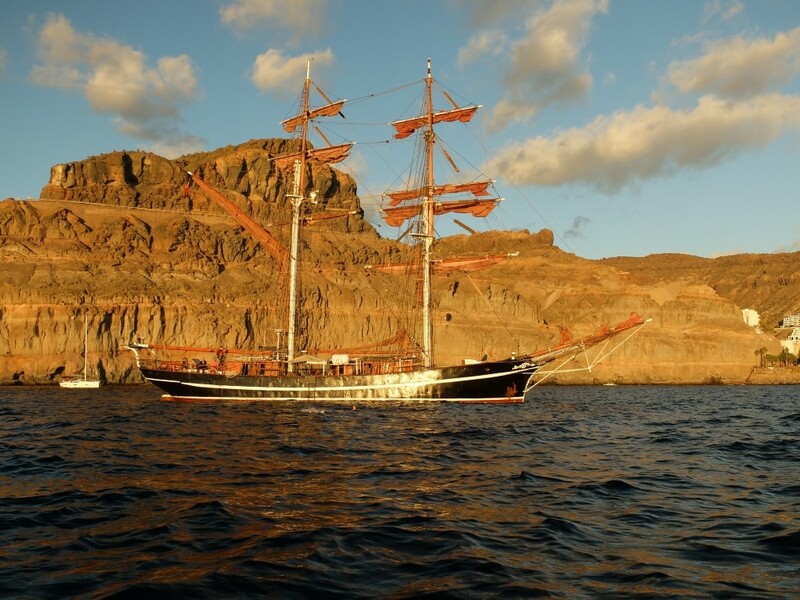 During this one-week cruise, you’ll experience the stunningly beautiful landscape of the Canary Islands. 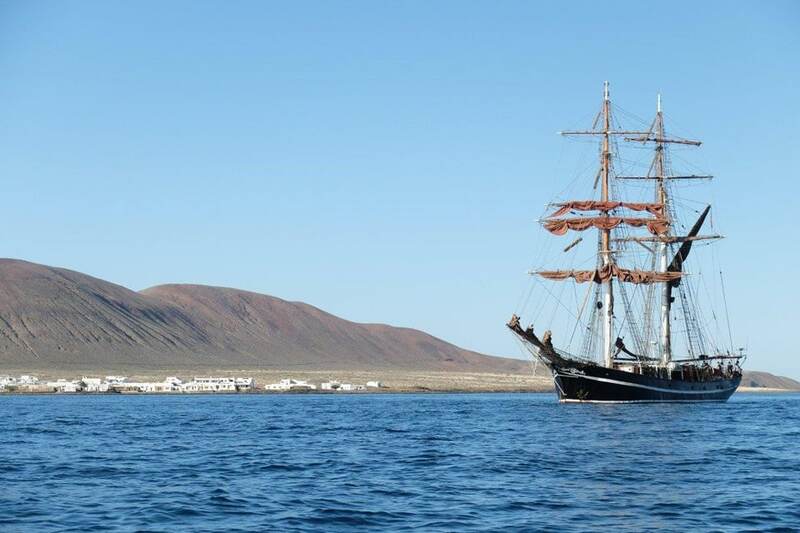 From Lanzarote to Tenerife, you’ll get to sail one of the most beautiful areas of the Atlantic. 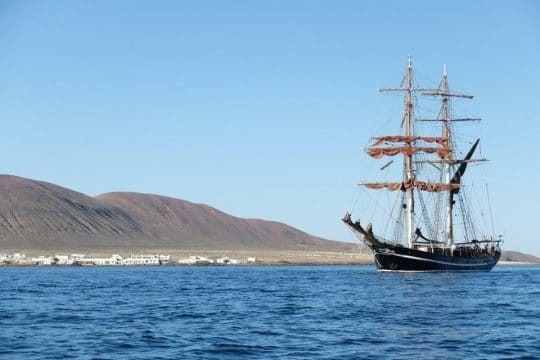 From Lanzarote, the ‘Island of the Fire Mountains’, Eye of the Wind sets course for Tenerife, the ‘Island of Eternal Spring’. 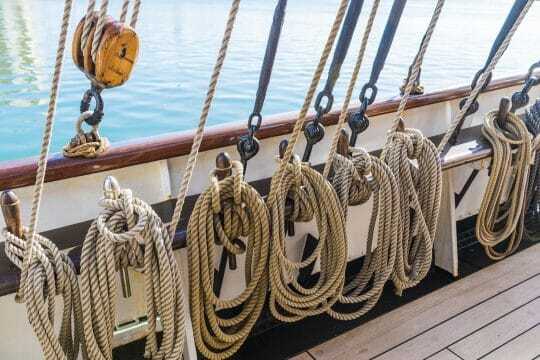 Bluewater cruising on Eye of the Wind amongst these beautiful islands, the wind in her sails, being accompanied by dolphins with the volcanoes as landmarks: these are all things that make this cruise an experience you will never forget. 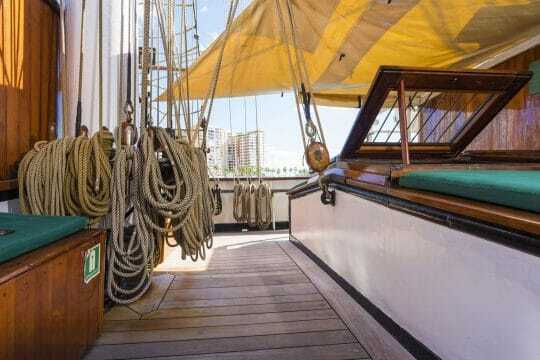 Come on board and enjoy relaxation under the sails. Enjoy a swim in the ocean and a stroll along a beach of the Canary archipelago. The trade winds bring warm air from Africa, creating a pleasant climate. Even in November, average air and water temperatures reach about 20 degrees around the eastern islands of the Canary Islands archipelago. The black, brown and red peaks of the volcanic cones rise more than 600 metres into the air on Lanzarote. Parts of the island are covered with a black layer of lava; palm trees and agaves make up most of the flora. The vast moon-like landscape is best explored by rental car and a half-hour drive takes you to the centre of Timanfaya National Park with the Montañas del Fuego, the mountains of fire. From Eye of the Wind, you’ll discover some islands of the Canary archipelago, which translated means ‘The Blissful Islands’. It is time for you to experience the ship as a place of tranquility, where you can leave the flood of information and the hectic pace of everyday life behind. Rest and relaxation are guaranteed, and stops for going on shore and swimming offer an exciting change from life on board the ship. 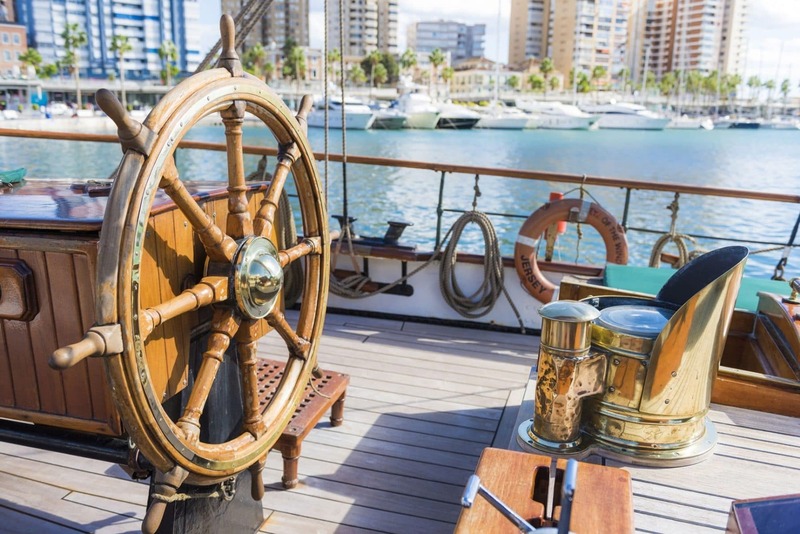 The decision on where to head and in particular on the choice of port or mooring spot for the night is made by the captain on that same day – your wishes will be taken into account whenever possible. 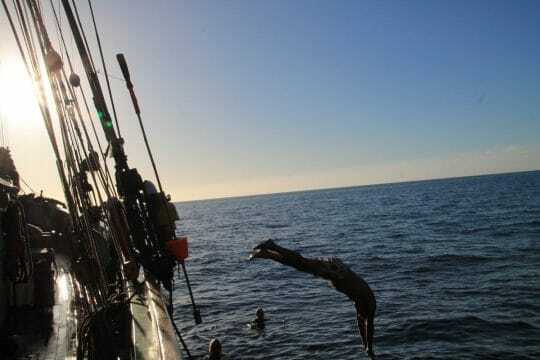 This ensures that your cruise is a pleasant mix of adventure, relaxation, active participation and pure enjoyment. Possible stops in the port or at a mooring spot are Fuerteventura and Gran Canaria, both offer their own unique landscape. Whilst Fuerteventure has its black beaches and lagoons, Gran Canaria is home to fishing villages and dunes that could pass for the Sahara. Your journey will end in Tenerife. The largest of the Canary Islands is often referred to as the ‘Island of Eternal Spring’ due to its unique climate. 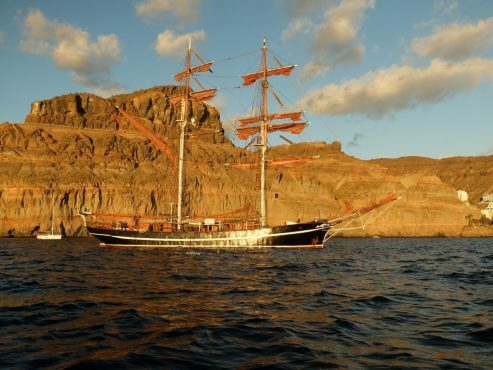 The impressive contrasts between young volcanic areas, mountain landscapes, ancient laurel forests, bizarre canyons and beaches can already be seen from Eye of the Wind as you approach the island. Spain’s highest mountain, Pico del Teide, and its surrounding national park towers above all else. 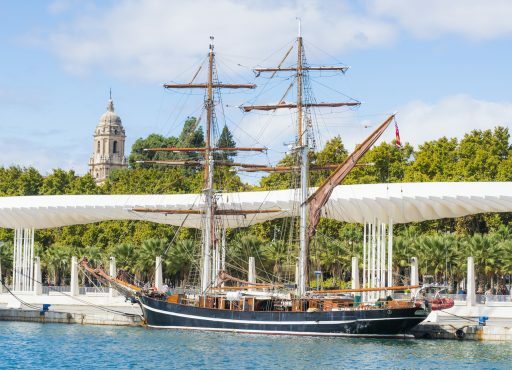 Tenerife also offers rich cultural variety, so make the most of your stay by taking a stroll along the magnificent streets (“Ramblas”) in the pulsating capital of Santa Cruz, and for a detour to the city’s tropical park. Not far away lies the episcopal town of La Laguna, a UNESCO World Heritage Site. If you want to spend a few more days on the island, it is well worth taking a trip to the old wine merchants’ town of La Orotava, the coastal town of Puerto de la Cruz, the oldest dragon tree in the world, or the mountain regions of Anaga and Teno. 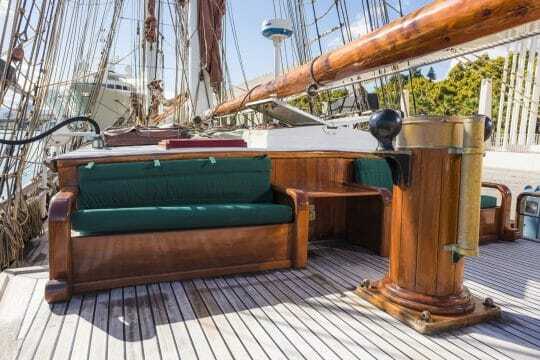 With incredible amounts of character, Eye of the Wind has all the modern amenities and an authentic interior, with a teak maritime décor. 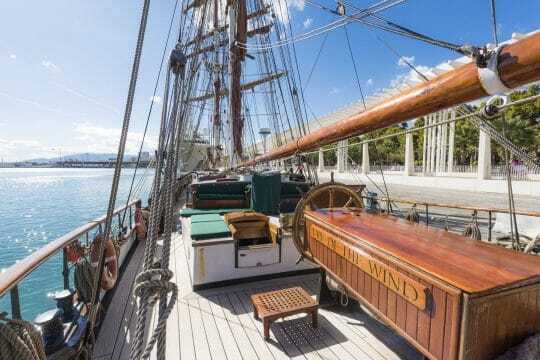 Oozing with maritime history, the opportunity to sail on Eye of the Wind is one in a lifetime. This beautiful ship is as eye-catching as they get and she has even featured in several movies, including White Squall, due to her breath-taking appearance as a 1911 brig. 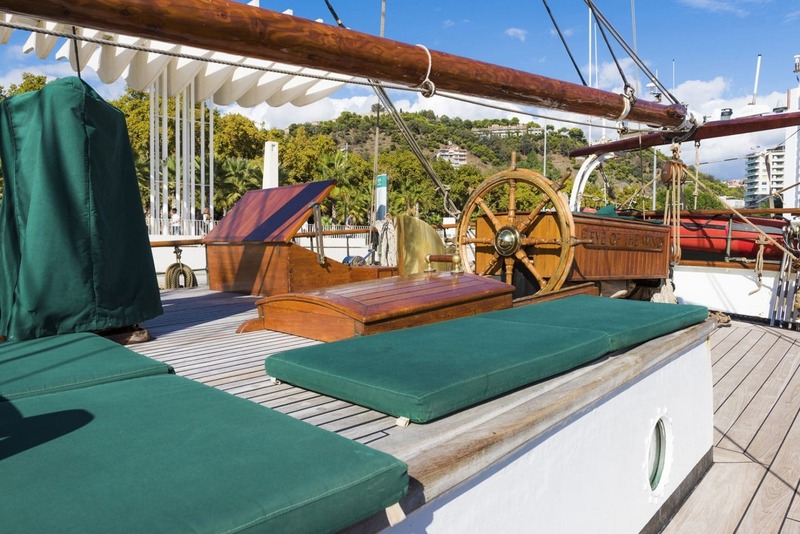 This windjammer offers luxurious holidays on board, cruising some of the most stunning locations in the world. Although the ship has a large, capable engine, traditional sailing is naturally the preferred mode of travel so there is plenty to get stuck into on deck. The crew are extremely experienced and ready to teach you the workings of a classic tall ship, so no prior knowledge is necessary. Join the crew at any number of the large maritime festivals they appear at, cruise the European coast, or relish some winter sun and climb aboard for their voyages in the Caribbean – including a transatlantic crossing back from the Caribbean to Portugal. Thanks to the 6 luxurious cabins, all with ensuite bathrooms, Eye of the Wind can sleep a total of 16 guests ensuring ocean passages can be travelled in true comfort. A large dining area, library and sun deck offer a multitude of different spaces to unwind and to get to know your fellow guests and crew.